There’s an old stewardship adage that encourages adventurers to “take only pictures, leave only footprints” Our experiences in the outdoors have a lasting impact on our lives and the memories last a lifetime. Sometimes even longer than a lifetime as generations share landscapes, wisdom and gear in the outdoors. In this edition of Therm-a-Rest Explore, contributor Sammy Spence reminisces on the history of her parent’s “old orange sleeping pad” and the importance of gear built for generations of memories. 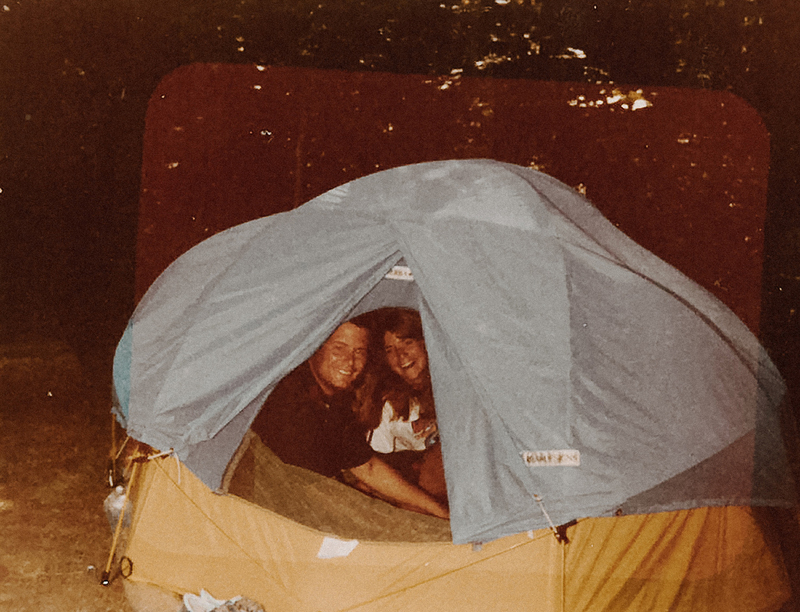 In 1972, Therm-a-Rest created something no one else in the outdoor industry had. 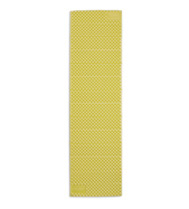 Inspired by wild adventure and the desire to make the outdoors a comfy place to rest tired bones, the self-inflated sleeping pad was born. By the time my parents were old enough to hit the gas and drive to their favorite trail head, Therm-a-Rest was a household name to any and all outdoor venturers. Beneath the Michigan pines, barefoot and blissful, my parents said I do. The year was 1984 and they were in love. And as a gift to celebrate their forever adventure my uncle gave my parents two orange Therm-a-Rest sleeping pads. Rather than hit some fancy resort in search of massages, bottomless mimosas and room service, my parents hopped in the car and drove west, opting for endless trails and baby wipe showers as they made their way through the sharp and rugged mountains of the Pacific Northwest. They found solitude and a refreshing sense of freedom that only comes from hiking through miles and miles of untouched and wild landscapes. Their boots, the only sound, as they rustled the decaying forest floor, while the warm and heavy breeze shook the branches of the spruces all around them. Those orange sleeping pads traveled far and wide, climbing tops of mountains, allowing refuge for tired legs. When they summited their first peak, it called for a toast, and with warm beers they sat crossed legged on what felt like the top of the world. The fog settled around them, an unwanted heavy cloak in the middle of summer. But it didn’t matter, they were king and queen, celebrating the conquest of their kingdom from high above, on a castle made of andesite. By the time they made it to Canada, their orange sleeping pads had changed in color, from bright and saturated, to a shade duller, evidence of countless nights spent dreaming on the dark dirt of the forest floor. They always strapped their pads to the outside of their packs, while the summer sun kissed the fabric, fading them like the weathered face of a lifelong sailor. Those sleeping pads were more than just a place to rest after a day of adventuring. They were a place to form memories, a place to create bonds with both people and the outdoors, and a sanctuary to build a lifetime of respect for the world and all it’s wild places. Eventually, my parents left the trail, packed up their backpacks one last time and headed East, in search of a place to call home. Somewhere along the way, they bought a house and settled down back in Michigan. Unfortunately, one orange sleeping pad mysteriously vanished between Texas and Massachusetts, but one still remained, nestled in a box in the garage appropriately labeled: adventure. In 2014, I met my husband and we decided our hearts and our feet were headed west, to Big Sky Country. After a day of packing the car full of everything we thought we’d need, we popped inside the house to find a scribbled note attached to a very faded orange sleeping pad. We said goodbye and headed west, with little plans and a lot of hope that we would figure it out along the way. And nestled in the backseat was one well worn, deeply loved, orange sleeping pad, with enough stories to last one very long road trip all the way to Montana. 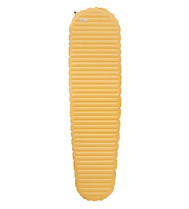 That sleeping pad has remained reliable and comfortable; it’s proved itself a steady backpacking essential. Though we have changed and evolved throughout the years, that little orange sleeping pad has proved its fortitude over the many adventures its joined us on, always strapped to the outside of the pack, just like my parents. Its continuously fading color reminds me of all the nights I’ve rested my head in new wild places. It reminds me to push my limits (and my muscles) because I can count on it as a soft spot to land, just like it was for my mom and dad. It feels like home. It reminds me of nights spent on fresh, untouched forest floor, with a touch of star drenched skies. Rolling it up and attaching it to my backpack always causes me to remember a day spent touring up steep mountain peaks and instant coffee, steam rising with the sun. Of course after years and years of experience in the backcountry, on personal trips and as a professional guide, my knowledge of technical gear is ever growing and changing. Just like I’ve evolved, so has Therm-a-Rest. They make technical and comfortable sleeping pads for every season. Like many knowledgeable outdoor adventurers, my choice in sleeping pad changes with the season and expedition. When I’m guiding multi-week backpacking trips I always bring my NeoAir for its “next-to-nothing” weight and durability. When I’m backcountry skiing, my choice is also simple: my NeoAir XTherm for its warmth and fiercely small size. While my go-to sleeping pad isn’t my parents old orange self-inflating mattress any more, it’s a classic. 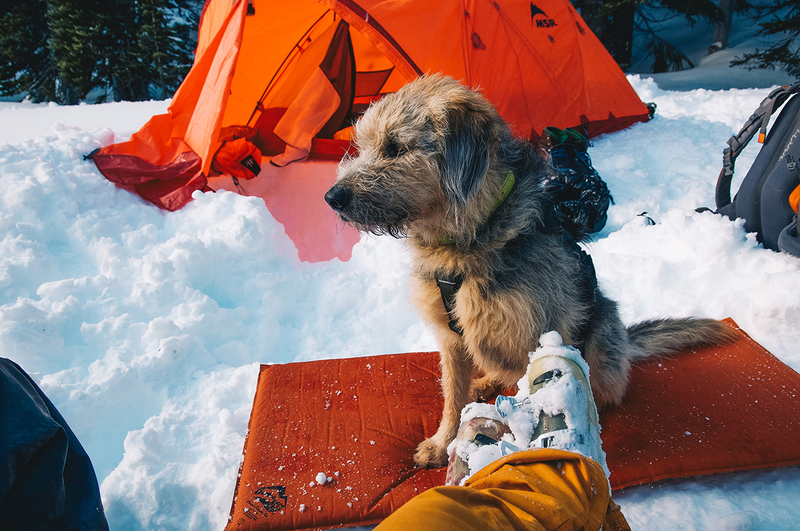 I feel comfortable bringing it into the mountains, whether I use it as a place to rest the sit bones, or a place to rest the head. The fact that it’s still hole-less, warm and comfortable, is a testament to the trustworthy and durable nature of Therm-a-Rest mattresses as a whole. Of course it’s always fun to purchase the newest and most technical gear on the market. But it’s equally important to invest in gear that is really meant to last. 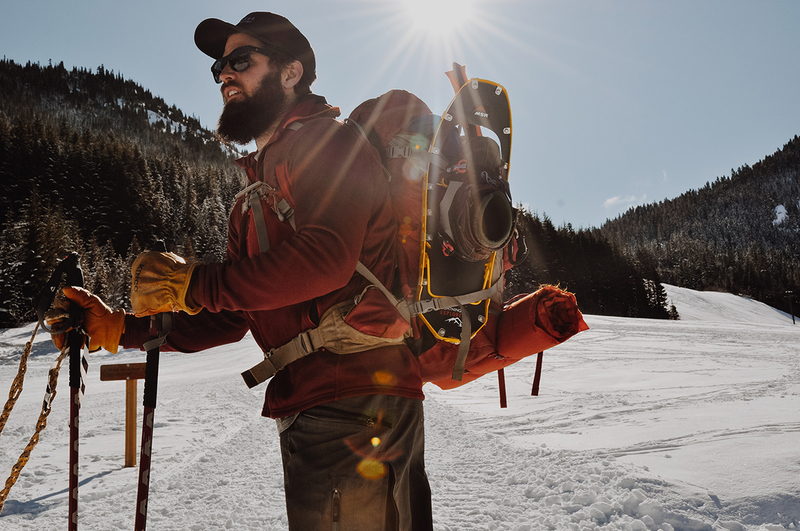 When we buy gear that is guaranteed for longevity, it’s not only allowing our adventure fund to continue to grow, but it’s healthier for the environment as well. It’s gear we can count on for longevity and strength, designed for gnarly adventures. Research proves that every year approximately 8 million metric tons of plastic goes running into our oceans. As outdoor adventures, we are also called to be outdoor advocates. Our job is not only to enjoy playing among the mountains, shredding it’s peaks and riding it’s hills, but to protect it, too. When we buy gear and articles that can last us for generations of adventures, we are ultimately saving our oceans, our animals, and our planet. Planning an epic expedition can be costly, so where you spend your money is important, investing in Therm-a-rest gives you years of use, which really just means days, weeks, months of more adventures, more climbs, more summits, more memories. It also means you are stepping up as a supporter and protector of this wild world we get to call home. You can be comfortable and feel confident in the durability of your gear, after all, they’ve been mastering comfort since 1972. Ands the only part that’s faded on that classic orange sleeping pad is the color, not the comfort. Choosing the right gear for your adventures is important, after all your kids might use it while conquering on their own adventures, decades later. 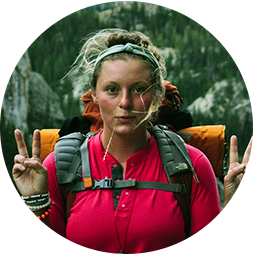 Sammy Spence is a writer, adventure photographer, and Wilderness Therapy Guide. You can find her beneath the pines, sipping star drenched skies.